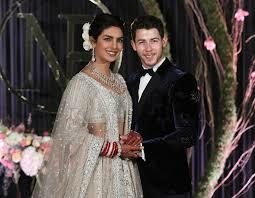 Priyanka Chopra got married with the leading US singer, Nick Jones three months before during the month of December. About more than three months have passed to their marriage but there are some of the separation news between the two celebrities and the news of divorce have surprised all people especially their fans. The leading American magazine, OK has released a report and according to this report, both of them fell in love with each other and they took hasty steps and got married about three months before. When they got married and came close to each other, they started understanding each other and some of the facts were revealed. Some of the issues were raised between them and they started quarrelling with each other. They are now facing the consequences by taking hasty steps and now their marriage is in danger. 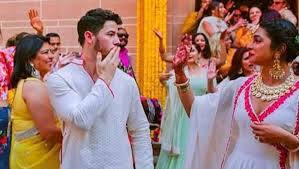 Initially, the family of Jones was thinking that she is the asian girl and she will manage her home and family but it is revealed that she is only a party girl. She thinks like a 21 years old girls being 36 years old woman. Now the family of Jones is pressing him to get rid of her. They like to finish this relationship. The couple did not give any response over such news. However, Priyanka has updates two pictures on her instagram account few hours before and she is attending the concert with Jones Brothers and they are looking in happy mood. Priyanka wrote on the caption of the pictures, “I am attending the show of Jones Brothers for the first and it is very elegant. I am proud of Jones Brothers”.